New building materials and solutions news 2 12/11/2009. BuilderScrap, the website designed by builders for builders, is pleased to announce an exciting new collaboration with Construction Centre for Innovation North West (CCINW) and Salford University. 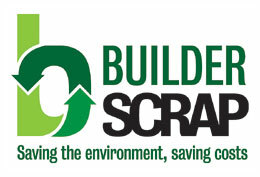 The partnership has been created in order to develop a technology to accurately measure the amount of carbon saved by members of the BuilderScrap website. 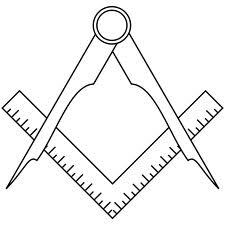 The website works simply, effectively, and is free to use. Members can register and upload any leftover, surplus construction materials to the website. Other members can then search for these material s, and contact the seller to make an exchange. The website has been received very well by the construction industry, as this partnership with CCINW shows. There are only ever a few things that are certain in life and not having enough space in your house is probably high on most peoples list. One of the most cluttered areas in the home is the area under the kitchen sink. Unfortunately there is the small matter of pipe connections that usually get in the way, with hot and cold plumbing connections required as well as a trap for the waste outlet. 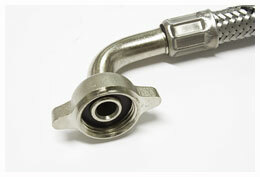 Polypipe have introduced a new space saving Polyfit flexible connector in a 90 degree elbow pattern (product code FIT7115) which means the hot and cold pipes feeding the sink can be loca ted right at the back of the cupboard area maximising space. Specialist lamination company Foilex took part in its first exhibition with Glassex at NEC Birmingham this month. Visitors had the opportunity to see the vast range of colours and effects available for profile lamination and the benefits that come with it. Providing fabricators and installers an extra sales platform and opportunity to achieve great margins on a premium product. With a range of services including standard (two weeks), Foilexpress (a choice of one or two weeks) and a custom service, tailored to specific needs, Foilex offers its cus tomers the opportunity to differentiate from competition and add value and choice to their offerings. With the need to reduce emissions and heat loss as we strive to create airtight homes, effective pipe sealing through roofs has become more important than ever. 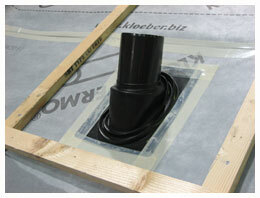 Klober’s Venduct Pipe Sealing and Solar Outlet Sealing Collars have been designed to provide a fully windtight and airtight seal between the underlay / vapour control layer and pipes which penetrate the roof. Used with Klober’s coloured Easy-Form butylon tape, the flexible EPDM collars can accommodate pipe diameters of 100mm or more and roof pitches of up to 70°. 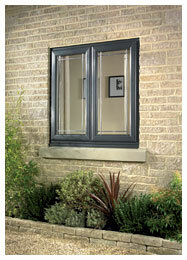 They can also withstand var iations in temperature brought about by weather extremes or interior heat build up. Thermal insulation specialists Pregis is helping architects, builders and home improvers achieve significant energy savings by using insulation technologies issued from the aerospacial industry and potentially meeting the requirements of France’s future réglementation thermique (RT) building energy code, whose next version, RT2012, is expected to seek further improvements in insulation for properties. Pregis’s high-tech Altherm® Pro reflective barrier insulation has now been granted European Technical Approval (ETA) from th e CSTB (Centre Scientifique et Technique du Bâtiment), confirming that the material has passed a number of stringent tests to improve heat retention in winter when combined with conventional insulation material such as rockwool, in order to generate additional energy savings. Designed specifically with District / Community Heating networks in mind Alfa Laval’s new AquaFlow/AquaStore 2-Port tap water heaters complement their existing 3 and 4 port model range. 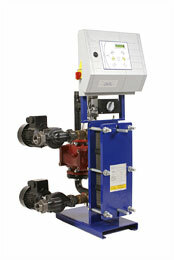 Tap Water Heaters provide large quantities of instantaneous or semi-instantaneous domestic hot water (DHW) to apartments, hospitals, schools, hotels and other buildings connected to a District Heating network. The new units combine high levels of efficiency with user safety. The system takes the heat from a primary hot water source, (typically a district heating network ) and transfers i t to the secondary or domestic cold water, thereby heating it to around 600 C, ready for domestic use. 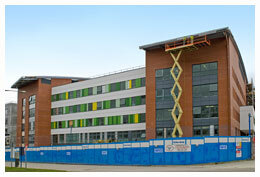 The state-of-the-art new hospital in Wakefield is one of three hospitals benefitting from a PermaTEC EcoWrap hot melt system, installed by national building envelope contractor, Prater. PermaTEC EcoWrap has been developed by Permanite Engineered Roofing Systems and is the world’s most advanced and innovative hot melt waterproofing system, delivering a range of environmental benefits as well as market leading performance. PermaTEC EcoWrap features new wrapper technology which blends into the material itself when heated, removing the need for heavyweight cardboard box packaging and eliminating site waste. 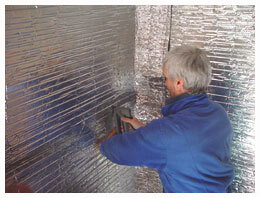 The product requires lower application temperatures on site which speeds up installation and uses less energy. Vicaima doors have been fitted to one of the highest student accommodation blocks in Europe, following their selection for the City Plaza development in the centre of Leeds. The striking 37 storey tower provides modern accommodation for over 500 students with both single studio rooms and larger flats, each with remarkable views over the city. Interior fire performance doors from the Vicaima Ecodor and Essential Naturdor ranges were chosen for this project and supplied through Vicaima stockist, Arnold Lavers of Leeds. The Vicaima Ecodor range is especially suitable for s tudent accommodation projects, as it incorporates a hard wearing and UV fade resistant continuous pressure laminate surface. Leading door seal manufacturer Lorient has launched a new brochure about its Integrity® Architectural Seals – and several brand new products have been included in the range for the first time. The Integrity® collection of door seals has been designed and tested to ensure outstanding protection against sound, smoke, rain, fire, light, draughts, dust and even insects. The extensive range includes various seals for the perimeter and the bottom of the door, as well as many speciality seals, such as Finger Guards. 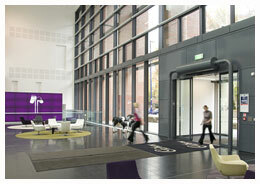 The seals are suitable for a range of applications, including schools, hospitals, commercial and industrial buildings. 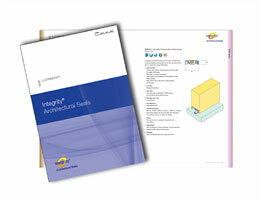 The new brochure features colour-coded sections for easy reference.